Also, admit it, I made you look up what a mangosteen is. Come on, there's no shame; admit it. Wow, you really do know how to prey on my psycological weaknesses. I guess that makes you a true marketting major. i looked it up, and i'm still not sure i fully understand what the hell it's supposed to be. and i'm comfortable with that. Wow... 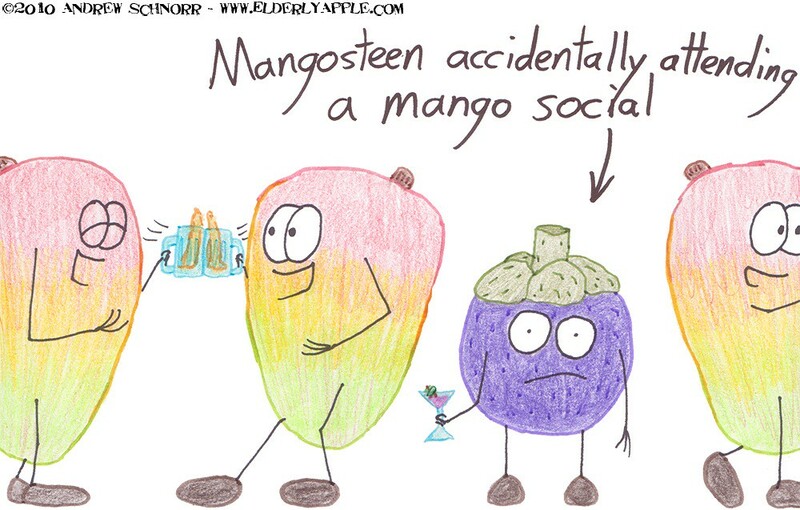 I looked up mangosteens, and I am so confused.